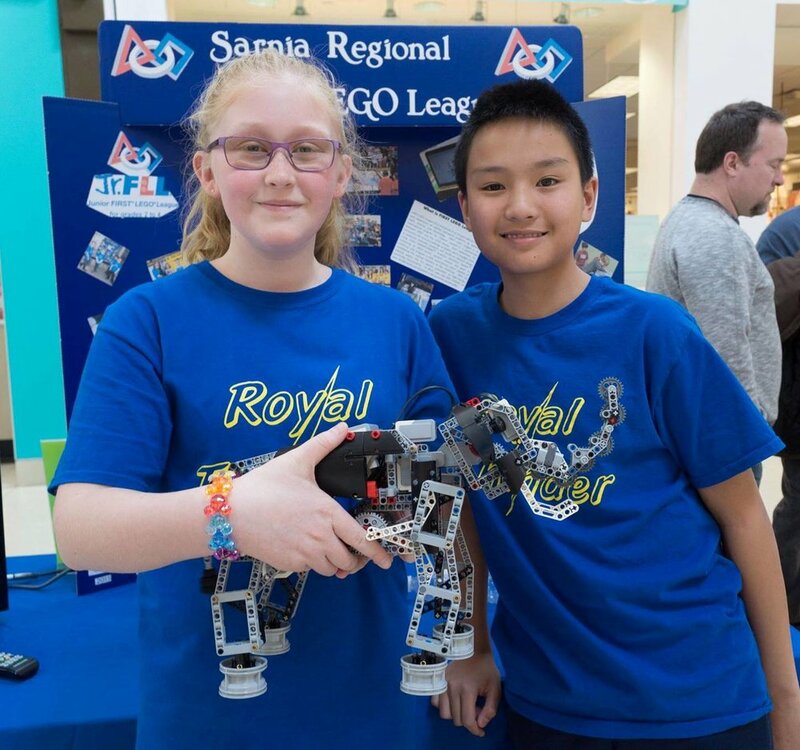 PEO Lambton is proud to sponsor the St. Pat's FIRST Robotics team as they compete at the Western University District event this weekend. Good luck! Students from the winning school, Rosedale Public School. On November 18th, 2017 the Lambton chapter hosted their annual Mathletics Competition at Great Lakes Secondary School. The event welcomed 45 grade five through eight students from 15 schools. They participated in a math-based competition to apply their current math knowledge and learn some new concepts. Congratulations to the students from Rosedale Public School who took home the Team Award for the top school. A special shout-out to Colonel Cameron who got 2nd with only 3 students and to Gregory A. Hogan for their solid third place finish. The top three students from each grade were awarded cash prizes of $75, $50, and $25. The winners can be found in the results document linked below. Finally, a huge thank-you to the energetic volunteers who made this event possible! See everyone next year! If you would like to be informed about the 2018 competition when information is available, please enter your email address below. Thank you! We will contact you when information is available for the 2018 competition! The Engineers-in-Residence (EIR) program is PEO's flagship outreach program. It matches P.Engs and EITs with a high school or elementary school in their community. The volunteer EIR helps teachers bring a real-life dimension to the curriculum through hands-on projects, presentations and other activities inside and outside of the classroom. EIR volunteers visit their school’s classroom during the school year (September – June) approximately once per month during school hours. The time requirement is flexible and is arranged between the engineer and the school contact. For more information, visit the Engineers-in-Residence website or contact Jennifer Ladanchuk.